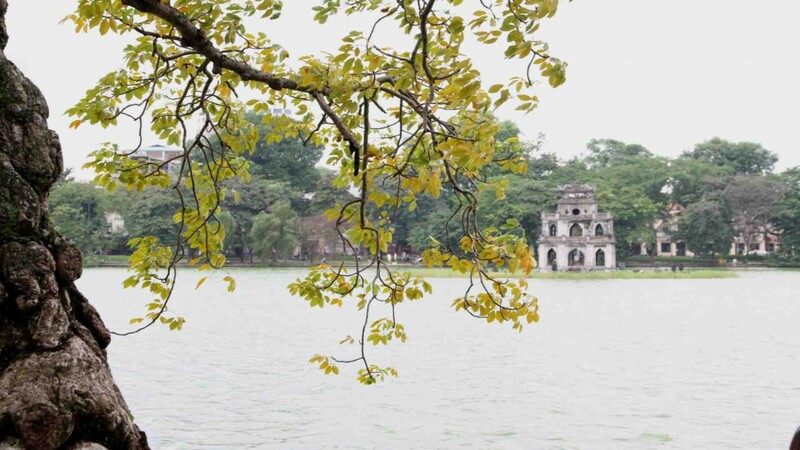 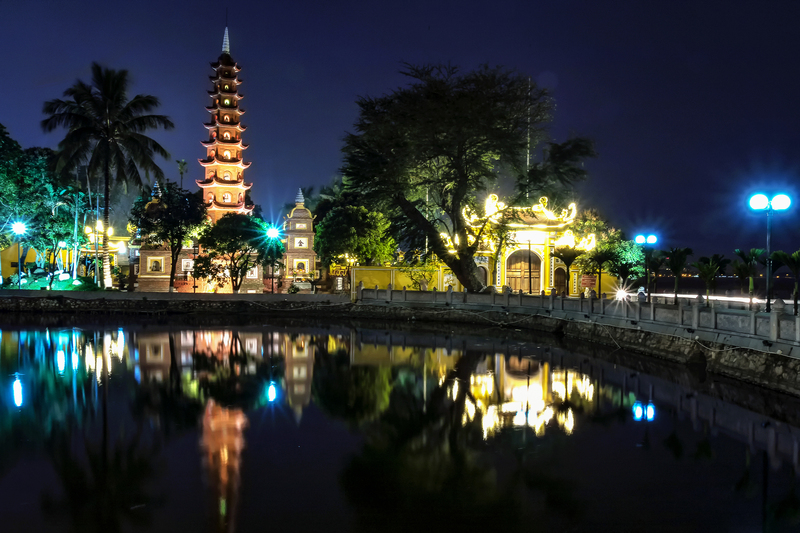 Hà Nội’s largest and most important temple complex was founded in 1070 by the Lý dynasty in honour of Confucius. 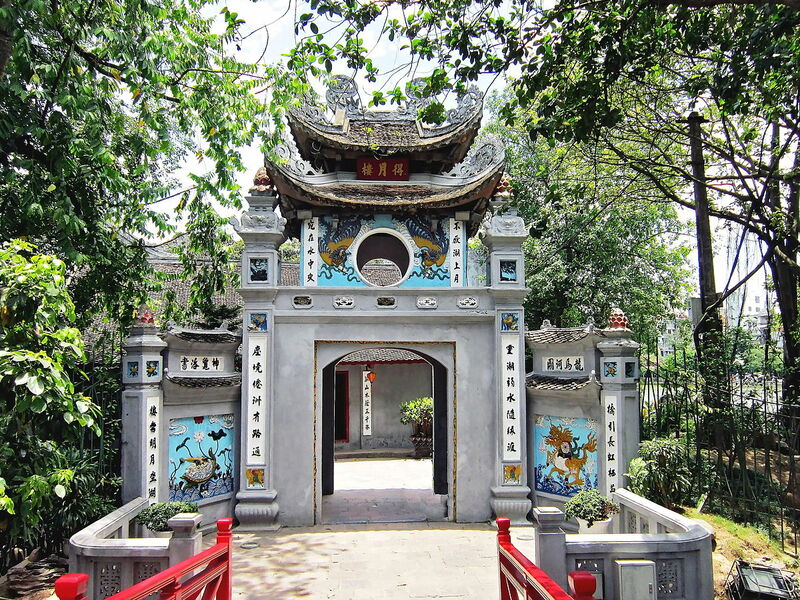 By the 15th century the temple had become an important centre for the training of the mandarin class and it remained the spiritual and intellectual centre of the kingdom until well into the 18th century. 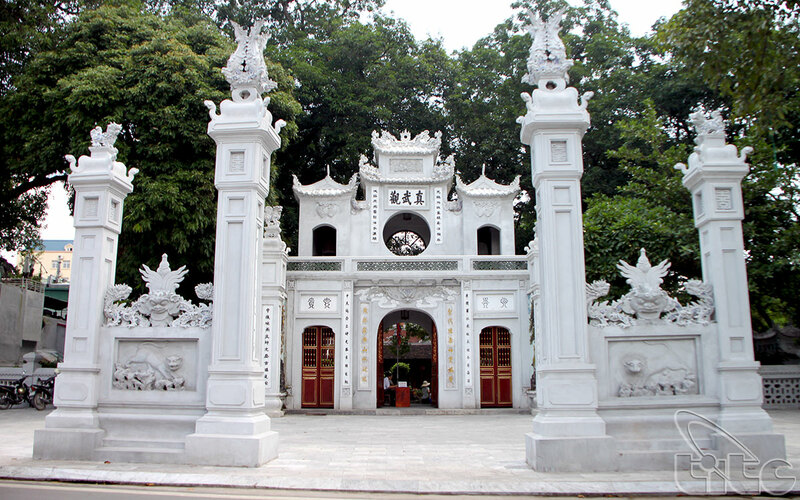 Despite the removal of the royal court to Huế in 1802, Confucian examinations continued at the temple until the early years of the 20th century, when they were stopped by the French in response to the emergence of the mandarins as an increasingly hostile force to colonialism. 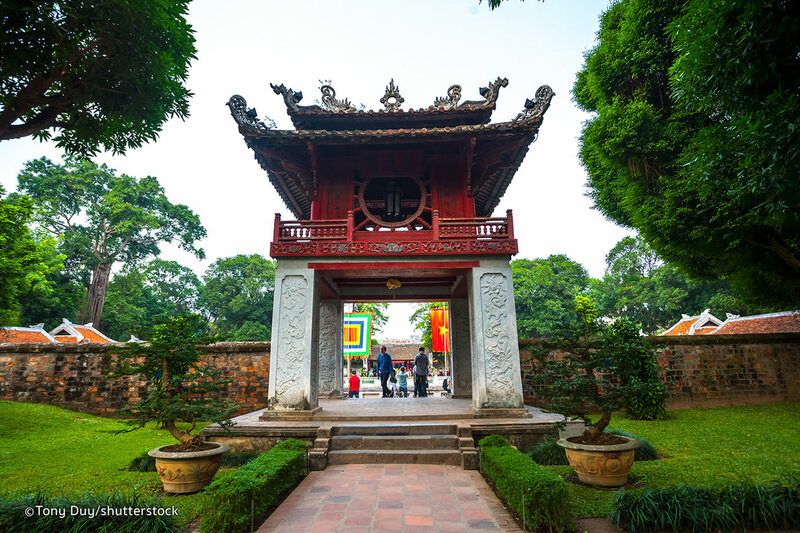 The Khuê Văn Pavilion, located in the temple concourse, contains 83 stone stele which bear the names of successful candidates in national examinations held over a period of 300 years (1484-1787), whilst artifacts on display in various buildings illustrate the history of the temple. 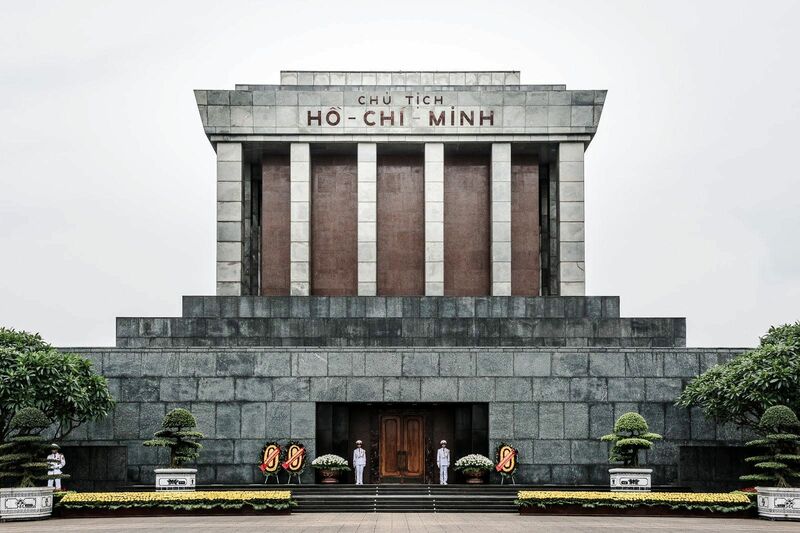 An important part of the site known as Thái Học (Giám College) was demolished in the 19th century to make way for a royal temple, but the latter was destroyed in 1946 during fighting with the French. 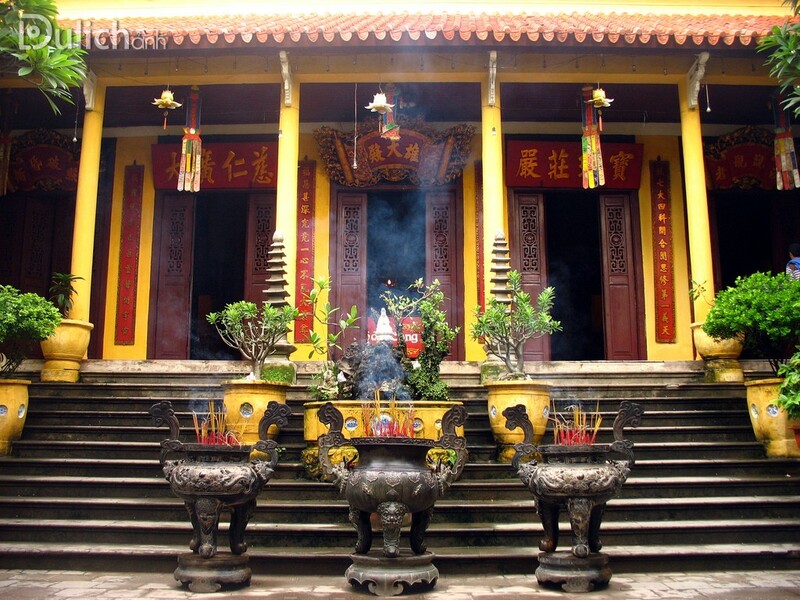 In 1999-2000 the original Thái Học was rebuilt, according to Lê dynasty specifications and using traditional materials, with financial assistance from Petrovietnam and COMVIK (Sweden). 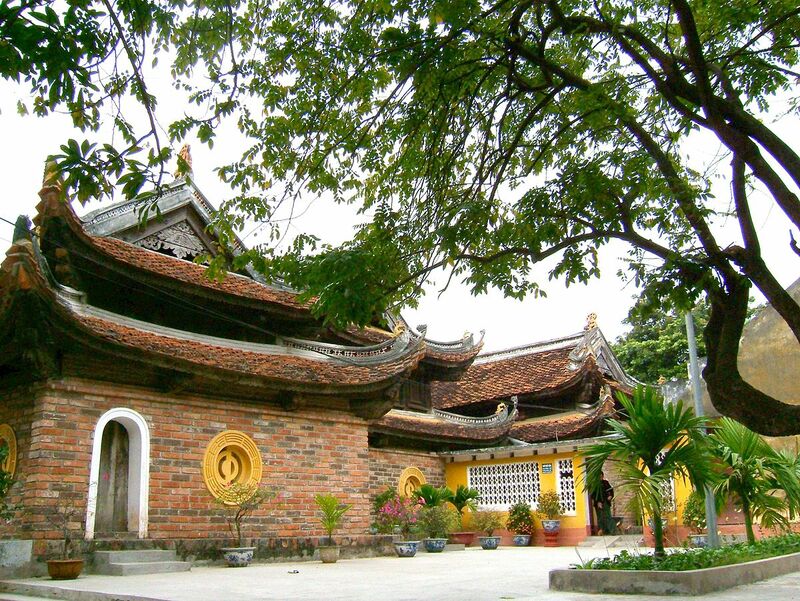 It now houses a small exhibition on the development of the site and of the Confucian system of education which dominated Việt Nam from the 11th century to the final sinologist examinations in 1918. 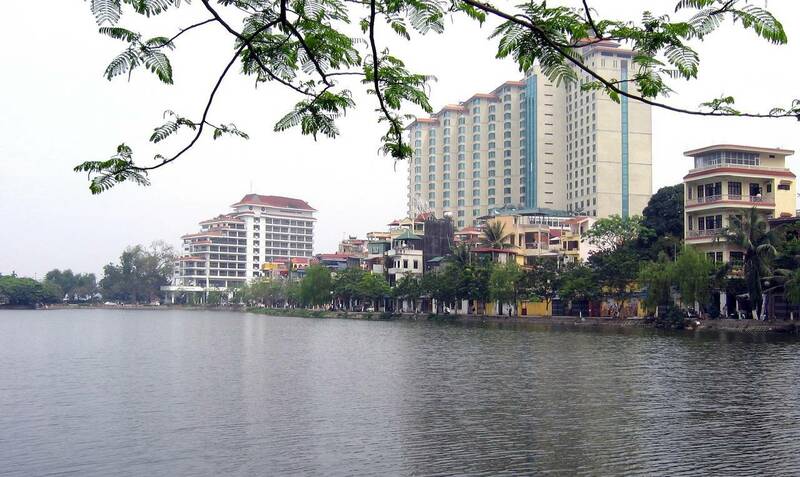 The new building is also used to hold scientific seminars, lectures on key cultural figures and ceremonies granting bachelor and doctorate certificates to scholars nationwide. 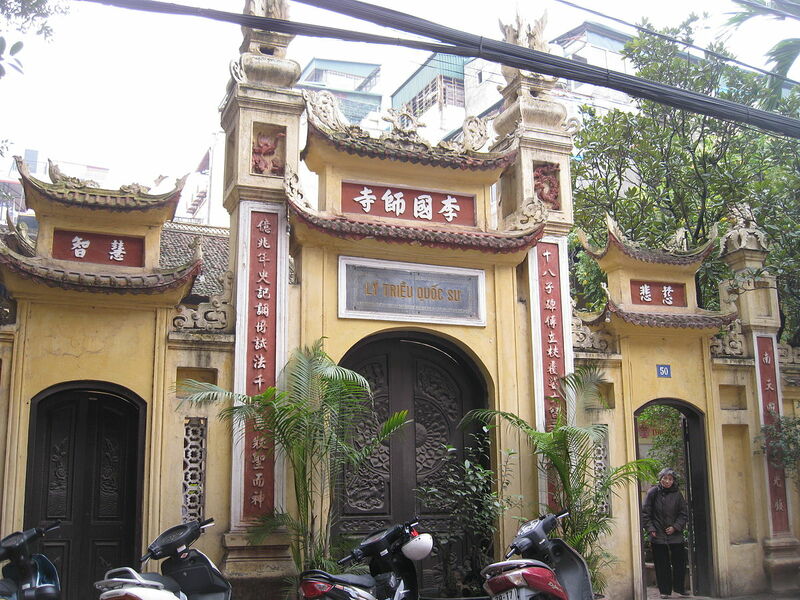 A library of books in chữ Hán (classical Han Chinese, also known as chữ nho) as well as new publications on Vietnamese cultural norms and values, are being developed.